Version 5.02; Possible to move pin numbers when editing symbols? 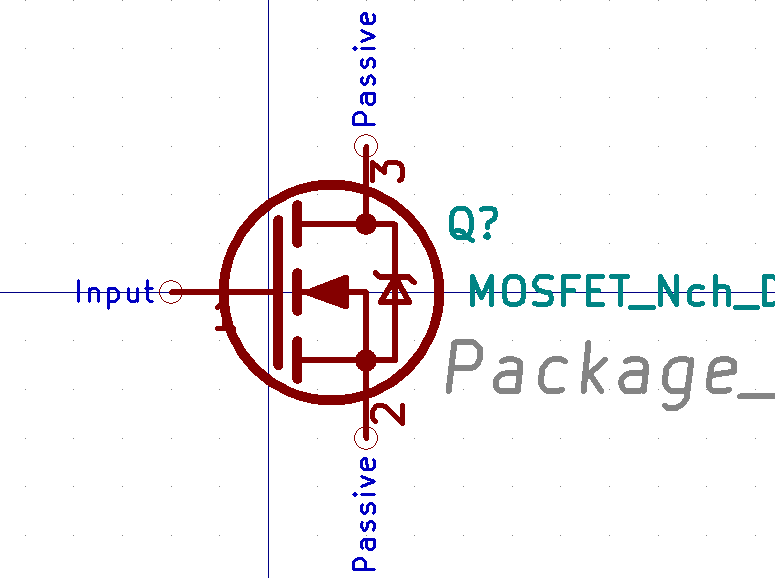 I like to create/edit my own symbols…but here you can see that pin#1 text is buried by the transistor circle. I cannot seem to change this except by moving (or changing the length of) the pin. Am I missing something? I think that your assessment is correct when using the Symbol Library Editor. However, there may be a work around that others have implemented. Thanks. I look forward to hearing about it from someone who knows the trick. You have all my sympathy with getting over this terrible dilemma. 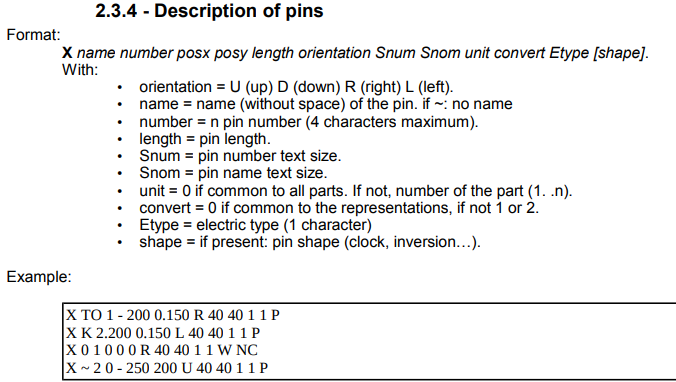 I have also found no way to move the pin number relative to the pin, but that does not mean there is no way. To be sure of all possibilities, you can look at the file format and look for a field that determines position in there. The easiest way for a bit more flexibility is to simply set the length of the pin to 0. Then you can draw a regular graphic line from it. This may violate the KLC ( KiCad Library Convention) and your symbols probably won’t be accepted anymore in global repositories. 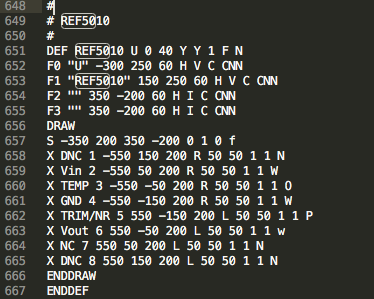 The kicad symbol file format has no option to control pin number positions. ( Always centered around the pin center.) The only thing you can control is the txt sice and pin length. You can turn the pin numbers off and put regular text where you want it. For IC’s and such this would be absurd, but for resistors and capacitors it’s already the default. For other simple components such as transistors it’s worth considering. (For your private libs). Even if the fields are a little off there is definitely nothing relating to the Pin Number Position, so even manually editing the library file isn’t a possible workaround. I am not always right with regards to new features added. Especially outside the library editors. I’ll be honest, I didn’t even see Rene’s post, otherwise I wouldn’t have repeated what he said… I must have poor reading skills. And thanks for the file-formats link. Useful. Thank you everyone for contributing. Obviously this is not a “show stopper.” I have been an EE since 1974. I have often wondered why (every CAD tool that I have worked with) insists on pin numbers for resistors and ceramic capacitors. Rotating a resistor PCB footprint by 180 degrees when placing it seems like a complete waste of a few seconds (I am slow) which adds up because it happens often. 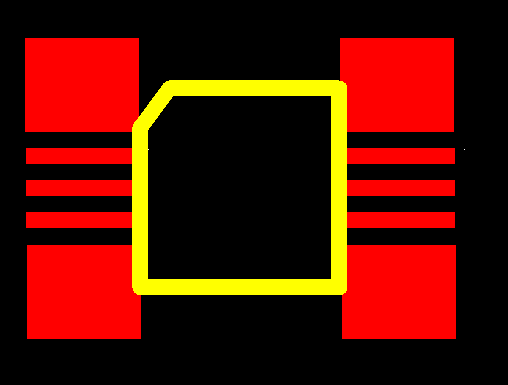 But in the case of transistors, there are many pinout variations. I have also seen different pin numbers for a SOT23. Once you assume you know what you are connecting, you end up with a transistor which is connected wrong on the pcb. While I am completely happy to contribute my work to the global repositories, I do not see much chance of that happening. I would like to graduate from ExpressPCB before I die of old age and I very much like the idea of an open source CAD tool. 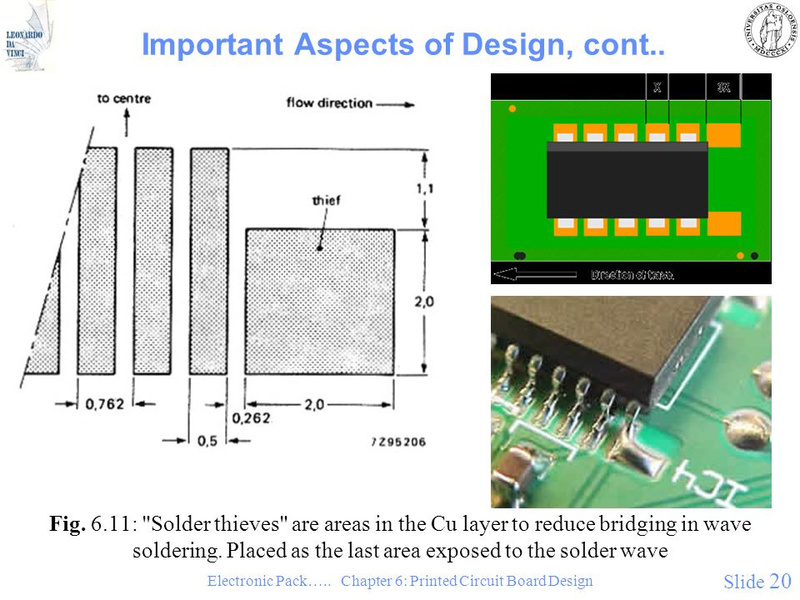 But one of my challenges would be finding engineering clients who use KiCad. One issue is that I like to do things my own way. An easy example is my “Bigfoot” MSOP-10 footprint. Such a modification may be pointless for a mass produced pcb but is very helpful when hand assembling boards as I do often. There are alse 50+ (mostly DIP) packages with “longpad” in the footprint name and these are also for hand soldering. Right now I am still in schematic design for my present project. 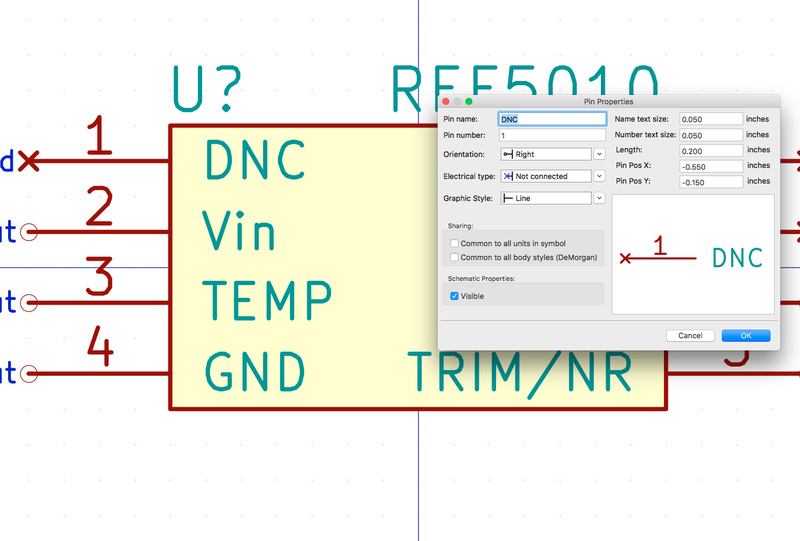 The last time I did any pcb design in KiCad was about 4 years ago using probably a 3.X version. 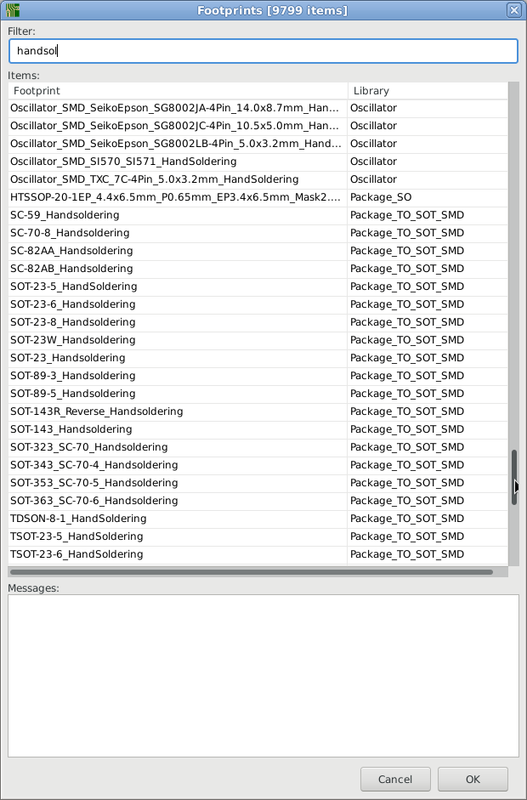 I will have a look at the footprints you refer to when I get into pcb layout. I will be pleasantly surprised if the corner pads are extended in both length and width directions; both of those tweaks are helpful. I have not seen extended corner pads in both X&Y direction yet in KiCad. I know they are usefull for faster hand soldering. 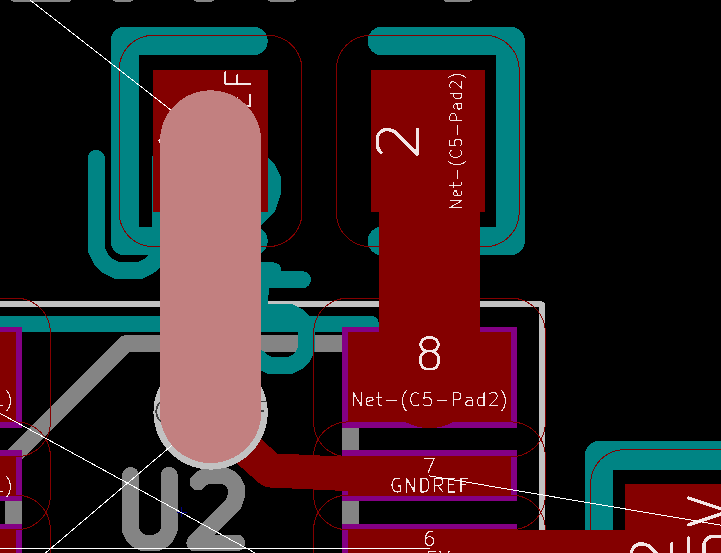 When you want to modify Footprints from KiCad pads are usually centered, which would make it a bit cumbersome to extend the pads as in your example. It seems easier to simply draw complete new footprints with help of the Footprint Wizards. With the Footprint wizards you can very quickly design custom footprints by filling in a few numeric values. When changing the Pad count / pitch and other values on the left, the preview is live updated, and after the wizard you can continue with the Footprint Editor to further finetune details. I am now working on the layout and wanted to try routing to one of my fat corner pads. Sure enough, with the fat corner pad positioned using offset, my fat trace snaps to the nominal pad location (not its visual/rectangular center.) I like to use the fattest traces I can (except where trace capacitance becomes a practical concern) and this snap-to position causes the rounded end of a wide trace to reach into the space between pads. This is not what I wanted. So now I have zeroed out the offset and tweaked the nominal pad position instead. I like to use the fattest traces I can (except where trace capacitance becomes a practical concern) and this snap-to position causes the rounded end of a wide trace to reach into the space between pads. This is not what I wanted. So now I have zeroed out the offset and tweaked the nominal pad position instead. You could have necked the fat trace down right at the edge of the pin 8 pad (similar to how you did for the pin 7 GNDREF pad, but right on the edge of the pad so the thick trace width is coincident with the pad edge). But that is probably way to fiddly to deal with more than once. Sounds like you have created a good solution. Using offsets in pads can be usefull, but they can also be abused. The intended use of the offsets become more clear with an THT pad. As you’ve already noticed now the offset moves the pad, but the “action point” stays the same. In KiCad using multiple pads with the same pad number is a valid way to extend a pad. Another way I just discovered is to draw some lines or a polygon, and then select them both in the Footprint editor and then [RMB] / Create pad from selected Shapes. The best implementation for this would be an option to the Footprint Wizards for options to add Solder Thieves (for simple Footprints). Really complex pads are probably best designed in FreeCAD and exported to KiCad with StepUp.